Dr. Kleypas has been working in the veterinary field since 1984 and practicing veterinary medicine since 1995. Since completing her studies, she has enjoyed working as a small animal veterinarian in Austin, including practice in an all-feline hospital and emergency services. In 2001, she and Dr. Okonsky founded Four Paws @ Four Points with the philosophy of offering excellent patient and client services. Her veterinary interests include oral medicine and surgery, preventive medicine, soft tissue surgery, and practice management. Dr. Kleypas' personal interests include reading, SCUBA diving, enjoying Austin's plentiful outdoor activities, such as local 5K funruns (especially with her daughter Lily and two mutt mixes: asuper Chihuahua-mix dog Roxie, and a funny puggle-type named Jumbo), bikram yoga, snow skiing, and cake decorating. She volunteers regularly with schools in the community and nonprofit organizations such as Girlstart. ​Dr. Okonsky started in the veterinary field at the age of 14, cleaning kennels for a local veterinarian in Connecticut. After holding just about every position in a veterinary hospital, she graduated with her DVM in 1992 from the University of Wisconsin. After graduation, Dr. Okonsky completed an internship at the Animal Hospital of Pittsford in Rochester, New York. 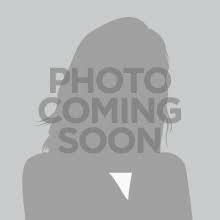 She then relocated to Virginia Beach, Virginia, and finally to Austin in 1998. 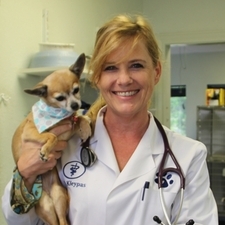 After working at a local small animal practice where she met Dr. Kleypas, the two opened Four Paws @ Four Points in 2001. Dr. Okonsky's areas of interest include internal medicine and preventive medicine. She is a member of the Capital Area Veterinary Medical Association and the American Veterinary Medical Association. Dr. Okonsky is married and has three little boys. Her free time is spent with them. Hobbies? Who has time for hobbies?! Dr. James, a native of Central Texas, joined our team as a veterinarian in June of 2012. She returned back to the Austin area after practicing in Georgia. She received her BS, DVM and MBA degrees from Texas A&M University and is also USDA accredited. She is especially interested in feline internal medicine and soft tissue surgery, as well as the business and management aspects of the private veterinary practice. Dr. James is a member of the Capital Area Veterinary Medical Association, the Texas Veterinary Medical Association, and the American Veterinary Medical Association. She enjoys rootin' on her Aggie's football team and chasing around her adorable little boy!